Discover art history with a prehistoric twist! 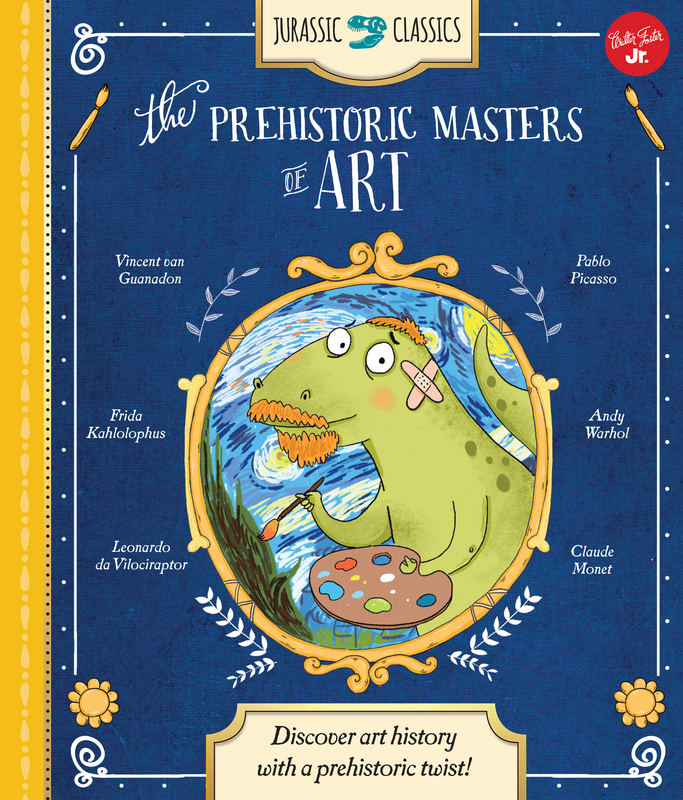 Jurassic Classics: The Prehistoric Masters of Art uses prehistoric dinosaur humor to introduce young readers to art history in a fun and inviting new way. 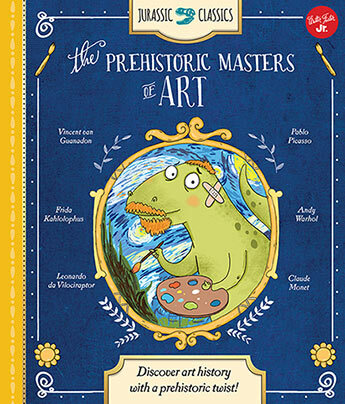 Using dinosaur mashups as a creative way to introduce art history, The Prehistoric Masters of Art explores the lives of the famous masters of our past. Jurassic Classics: The Prehistoric Masters of Art uses prehistoric dinosaur humor to introduce young readers to art history in a fun and inviting new way. The Prehistoric Masters of Art features an assortment of artist biographies, each with a prehistoric twist, such as Michelangelous, Vincent Vanaguanodon, and Frida Kahlolophus. After a brief dino history of each artist, a clever parody of his or her most famous sketches and paintings is included, as well as a true-to-life biography, with actual facts and descriptions about the life of each artist. Endearing illustrations and humorous dinosaur mashups provide young readers with a foundation for art history, as well as the curiosity and desire to learn more.